Gaze Upon Verdant Blades of Glory With Organic Lawn Care From Green Turf Care! There is something special about the dew that reflects the first light of day on a yard abundant in green, healthy grass. Invite in a verdant sanctuary with lawn care services from Green Turf Care today! Achieve a Full, Lush Lawn Today! Learn How! Lawns are unique in that people notice and stand in awe of one that is rich, green, and well-manicured, and oppositely, also one that is dry, patchy, and brown. Which one do you want to display? 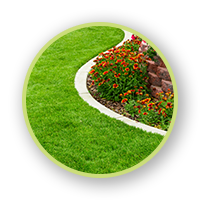 Find premier lawn care services from a trusted company serving the Northampton area. Once you achieve a thick and healthy lawn, you simply can’t return to the alternative — yet maintaining it might be even harder! If you’ve been spending grueling hours watering, fertilizing, and aerating your lawn and still coming up short, we’re here to lend a hand with our expert lawn care services! Now you can relax and reabsorb your lost time and energy and leave it to the lawn professionals! 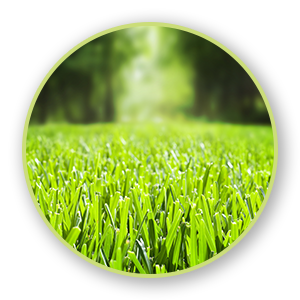 At Green Turf Care, our lawn care treatments were designed to be fully customizable to fit the exact needs of your lawn. Whether you’re struggling with grubs or compacted soil that is ruining your yard, we’re here to address it and make your yard healthier and more managable with each treatment. Find our comprehensive lawn care services below. Every yard wins and green grass grins with Green Turf Care! Reach out and find an ideal lawn service for you!